What Millman and Knicely shared with their viewers was all about SCCA. If other organizations in the area — including Swedish Medical Center or Virginia Mason Medical Center – are also doing innovative work or have skilled doctors and nurses, viewers would never know that. And if there’s anything remotely negative about the new treatments being offered at SCCA – Do they cause harmful side effects? (Yes.) Cost huge amounts of money? (Yes.) Or work for only a small percentage of patients? 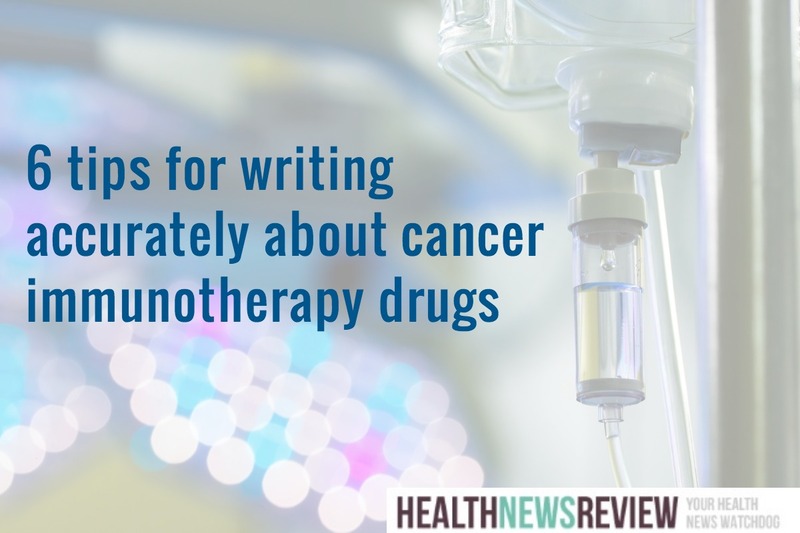 (Also yes, as described in our recent primer on writing about immunotherapies. )– viewers wouldn’t find that out, either. In fact, given the fawning nature of the special and its exclusive attention to SCCA, it seems reasonable to ask: Was any part of this program paid for by SCCA? Was this actually an ad masquerading as legitimate news from a team of popular journalists, one of whom believes she received lifesaving treatment from the organization being profiled? The conflicts of interest inherent in such an arrangement would certainly be troubling, but we can’t be certain of the specifics. The announcer says “KIRO- 7 presents” although the station’s website says the program is “presented by Seattle Cancer Care Alliance.” It’s not clear what other relationships the station might have with SCCA that would affect the tenor of the coverage. News director Jake Milstein did not respond to an email requesting details. The public could be forgiven if it did not make much of the issue. Such ethical blurriness has become commonplace in Seattle where TV stations, hospitals, and the SCCA, formed in 1998, appear to have the coziest of relationships. The Alliance and its partners supply Seattle area news outlets with streams of copy featuring their experts usually touting gee-whiz treatments or potential cures with little in the way of context. From January 1 through October 3 the Alliance website lists 62 stories appearing in local and national media, most mentioning the Alliance or using information from its experts. But it’s at the TV stations — KIRO-7, KING 5, and KOMO News 4 — where news reports appear to serve mainly as PR for local hospitals, and relationships have become about as clear as a winter morning on Puget Sound. Officials at these organizations are not eager to provide clarity. In addition to Milstein, the KIRO news director, I also wanted to talk to Alyse Bernal, public relations manager at Seattle Children’s, about KING 5’s relationship with the hospital, but Bernal replied in an email, “we are unfortunately unable to participate at this time.” I reached out to news directors Pat Costello of KOMO and Cheryl Carson of KING. Neither of them wanted to talk me, either. Their silence is problematic. Too often Seattle viewers are treated to “health news” that further breaches what’s left of the advertising/editorial wall that I wrote about for the Columbia Journalism Review in 2007. Then I reported that a hybrid of news and marketing had “spread to local TV newsrooms across the country in a variety of forms, almost like an epidemic, the product of a marriage of the hospitals’ desperate need to compete for lucrative lines of business and of TV’s hunger for cheap and easy stories.” That marriage of convenience between Seattle hospitals and local TV stations is still intact. Because of today’s news environment, perhaps the bond is tighter than ever. As Mabie suggests, this is not a problem confined to Seattle but one that is festering nationally. Last year I wrote about a similarly troubling partnership between the Mayo Clinic in Minneapolis and KARE 11, the NBC affiliate. 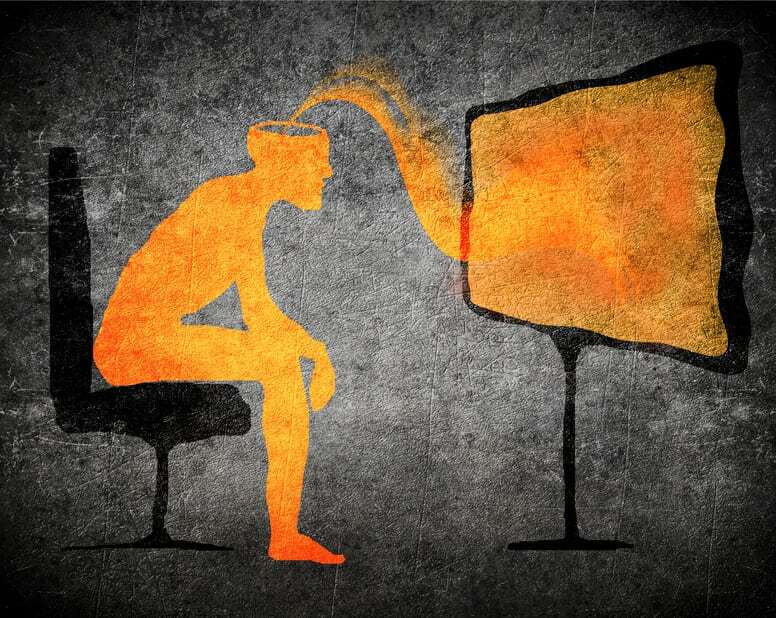 If you search on the tag “TV News Ethics” on this site you’ll find links to many diverse cases where stations across the country have engaged in ethically dubious practices that benefit sponsors at the expense of viewers. Seattle, however, seems to be at the forefront of the trend and is a good example of its far-reaching impact on local health news coverage. According to a 2010 story published in The Stranger, a Seattle weekly newspaper covering arts and culture, Children’s Hospital began sponsoring HealthLink segments and HealthLink specials in 2005, but a hospital spokesperson told the paper there was no quid pro quo related to the coverage. “The real benefit we get is a lot of support for our fundraising—their anchors MC (act as “master of ceremonies” for) our events, and that’s a huge benefit to the hospital and the foundation,” said Louise Maxwell, a Children’s public relations specialist. A sample of HealthLink stories suggests, however, that Seattle Children’s does reap additional benefits from the relationship. Positive, almost ad-like, stories that appear during news broadcasts often feature a single expert, usually from Children’s, and a single patient also from Children’s. A piece that featured two-year-old Hunter Coffman, a pediatric cancer patient at Children’s who underwent surgery to remove a brain tumor, is a good example. Hunter received an investigational new drug called Tumor Paint “that makes cancer cells glow when injected into a vein before surgery.” The idea is to make it easier for surgeons to find and remove the cancerous tissue and spare healthy brain tissue. But is it true, as the headline states, that “Tumor Paint makes surgery safer for kids with cancer”? There’s no discussion of evidence for the drug beyond Hunter’s apparently positive experience. No word about other testing, potential harms, costs, or what other specialists at other hospitals had to say. This piece and others I looked at, including several touting “game-changers,” would not score highly on the criteria HealthNewsReview.org uses to evaluate medical news. 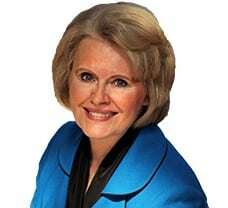 A sample of Wellness Wednesday programs reveals more confusion when it comes to what’s real news and what isn’t – especially given Larson’s connection to KING as a reporter and news anchor. A case in point is this segment that touted the benefits of liposculpture, “the next evolution of liposuction.” Although the sponsorship by Dr. Kristine Brecht of Aesthetic Rejuvenation is mentioned at the very beginning of the seven-minute segment, might viewers tuning in halfway through, long after the disclosure appears, mistake it for more legitimate medical news? At the end Larson tells viewers they can check Brecht’s website or the station’s for more information, to make an appointment or get a free consultation. Larson does the same in another segment, a cooking demonstration sponsored by CHI Franciscan Health Care. Larson tells viewers they can get a recipe for the stuffed zucchini and a “Find a Doctor” tool that helps people connect to the hospital’s primary care doctors and specialists. Was the cooking demo another way to market the hospital? A recent example features Shen, a scientist from a local biotech company and a scientist from the UW Center for Innate Immunity and Immune Disease who are working to develop a compound that can treat the Zika infection. “And if they’re able to treat Zika, it could also mean a cure for viruses ranging from West Nile to Ebola, to the common cold,” the story speculates. The fact that they are years away from beginning any human trials for these compounds is presented as an afterthought to the uplifting narrative. If so much of the health news in Seattle is fluff and puff, we wanted to know what kind of serious health journalism was being done at the stations. Since the news directors didn’t want to talk, we couldn’t ask them for examples about real, more fully reported health and medical stories they might have done. So we searched Lexis Nexis and station websites for clues, and came away with a complicated picture. We looked at coverage of hospital star ratings for overall quality and hospital readmissions penalties announced this summer by the Centers for Medicare and Medicaid Services. (Hospital readmissions are a key indicator of quality since hospitals which deliver proper care will have few patients who need to return within 30 days.) The CMS data show that the University of Washington Medical Center had received four stars but had been penalized for the last five years for having too many patients readmitted as were Virginia Mason and Swedish Medical Center. Swedish received a three-star rating and Virginia Mason four stars for overall quality. Children’s Hospital was not included in any of the data. One would think the public might want to know how the federal government was assessing their local hospitals. But we didn’t find much coverage on that topic at the three Seattle TV stations, let alone any deeply reported stories that might have explained why some hospitals received low marks. In 2014 and 2015 a problem with dirty instruments surfaced at Seattle Children’s which prompted the hospital to offer free blood tests to patients who might have been at risk. While some stations, such as KIRO, FOX, and KOMO took note with brief reports, our search turned up no investigation along the lines of that from the Detroit News this summer that thoroughly examined similar problems at five local hospitals. 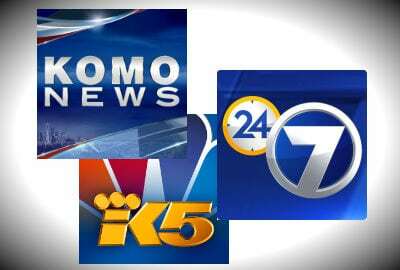 To its credit, KOMO has reported negative news about its sponsor, the University of Washington Medical Center, noting that in the summer of 2015 state investigators found 12 serious violations at the hospital, one for not addressing exposure to Legionnaire’s disease. A few months later KOMO reported the state had accused the center of not keeping critical pharmacy areas clean enough. And this spring the station reported on its own investigation of the medical center which used inspection records and charges of political pressure to paint a disturbing picture of the hospital. Is the ethical blurriness in Seattle a harbinger of things to come? Despite those occasional reports, these Seattle TV stations seem content mostly to pass along uncritical puff pieces that put their sponsors in the best possible light. And that tendency raises serious questions in this era of truth-challenged journalism. Where is the public to learn of poor sanitary practices at hospitals where they could become patients? Who will disclose hospital track records in matters of poor care? How do TV news reporters cover negative stories when they are so closely linked to sponsors of their news segments? How do viewers tell the difference between ads and real news when the journalists appear in both segments and the commercial relationships aren’t adequately disclosed? As the national news media increasingly report on medical errors, the public is learning that hospitals can and do harm their patients. Will local hospitals, now accustomed to fawning TV news attention that burnishes their community image, push back with still more PR that viewers may confuse with real news? Mabie says like in most things, the best defense is a good offense. Then there’s the larger question: If health and medical news today amounts to flacking for hospitals and tips on how to get liposculptured, does the public know or even care when local TV news deceives them?